Snapchat has added new features Paperclip, Voice filters and Backdrops. You can now add links to your snaps, change your voice and add background effects. 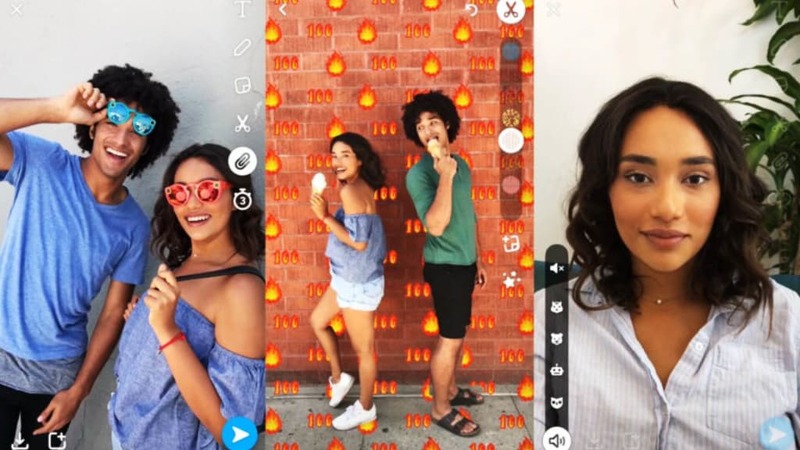 The new creative tools could put SnapChat ahead of it’s competitors. The new features have been rolled out globally on iOS and Android via latest updates to the App. It also opened links for all, formally allowed only on Discover content or for brands (paid). The new creative tools could put SnapChat ahead of it’s competitors, Instagram/Whatsapp (Facebook). It is no secret that Facebook has imitated Snap chat features after Zuck declared war. 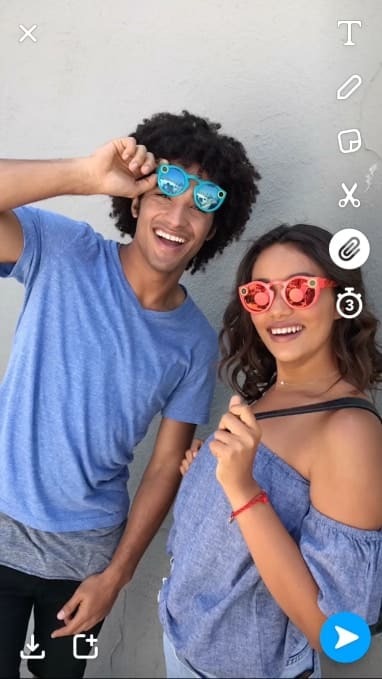 Snapchat is fighting back with new features Paperclip, Voice filters and Backdrops. The new features have been rolled out globally on iOS and Android via latest updates to the App. 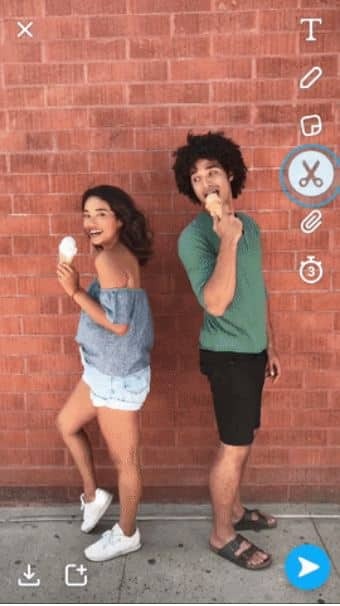 Paperclip lets you add links/website URL to your snaps, something previously available to only brand accounts(ad campaigns) and discover content. The links come with a preview and will only open in Snapcat’s internal browser. They will be automatically checked for malware and phishing scams using Snaps’ trust and safety tools, as well as Google’s Safe Browsing service. Users will be warned of potentially dangerous sites. To add a link just tap on the Paperclip icon in the Vertical Toolkit. Snapchat Paperclip | Photo: Courtesy of Snapchat. With Backdrops, you can cut out an object from your snap or photo and add background effects to make it pop out. Tap the Scissors icon and then the backdrop icon. Now trace around the object you want to keep in Photo and select a Backdrop design. The background filter will be automatically be applied to the the rest of the image. Backdrop designs change on a daily basis. Now there’s lots of creative things users can do with the background behind them. Snapchat Backdrops | Photo: Courtesy of Snapchat. 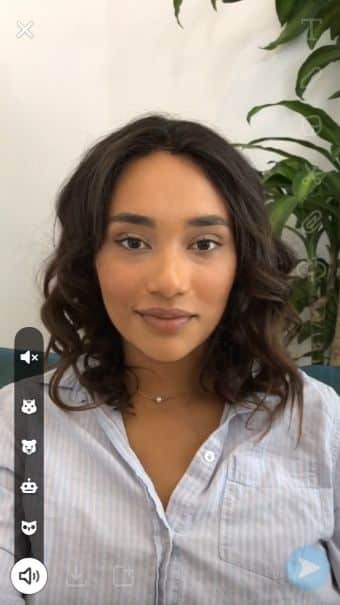 Voice Filters let’s you change the way your voice sounds in snaps without the need for the visual augmented reality lenses. Just tap the Speaker icon at the bottom of the screen and have some fun with a range of character voices in your videos. Snapchat Voice Filters | Photo: Courtesy of Snapchat. The android update also adds the Geofilter feature on the Android version of the App. How long will it take for Instagram (looking at you Facebook) to copy these features? We can only speculate. The updated app is now available on Android and iOS. Read previous: Will Your Smartphone Support WhatsApp Come Year’s End?